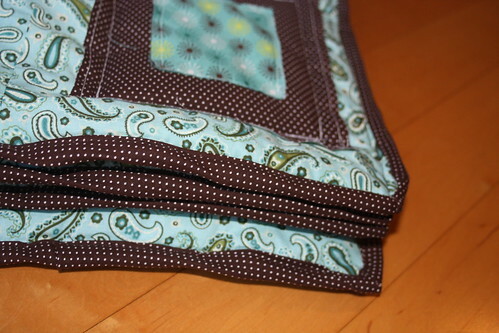 Stitches and Scissors: Ragged squares quilt. Now that Christmas is over I can share this quilt as it was a present for my sister-in-law. I made a Ragged Square quilt, but I only used 3 different fabrics as my sister-in-law does not like things to be to busy. 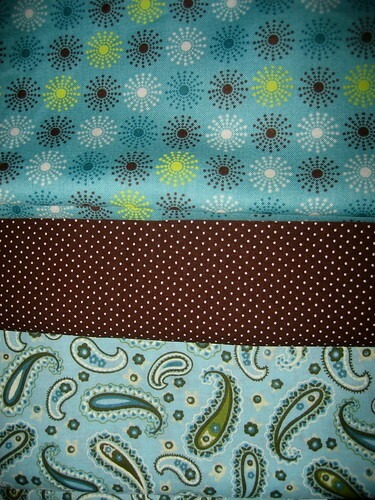 Here were the fabrics that I used. 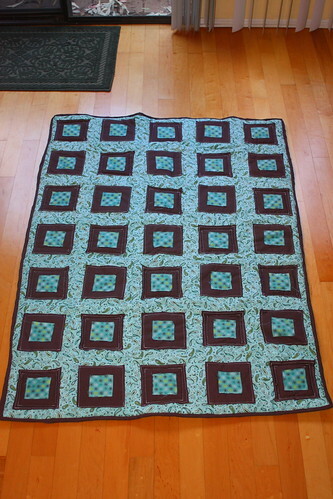 Here is one square quilted and all done. 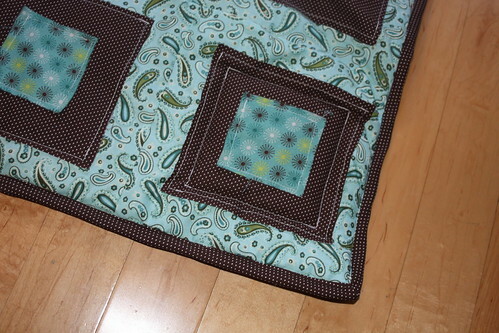 I only quilted every other square. 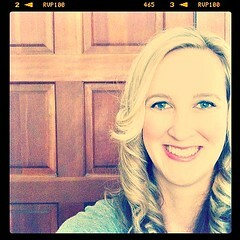 I think that it turned out really cute. Hopefully it will be happy in its new home. That quilt is adorable! you have the best taste in materials!!! I love this. Although, why is it called ragged squares? I couldn't tell from the picture. Are the edges lifted up? I loved it! Nicole, The squares are un-finished so when you wash it, it will get the ragged look. So there is a lot of trimming involved after it is dry. I love these colors! She'll be thrilled with this quilt. It looks really cozy. Where in CA are you? I'm in northern Ca, central coast.